The marketing industry in the UK has a lot to answer for these days. A 22.4% wage gap, top-heavy male workforces, controversy, harassment, bullying, racism & non-professional behaviour pervade the industry and without a doubt affect society’s views of the advertising industry. 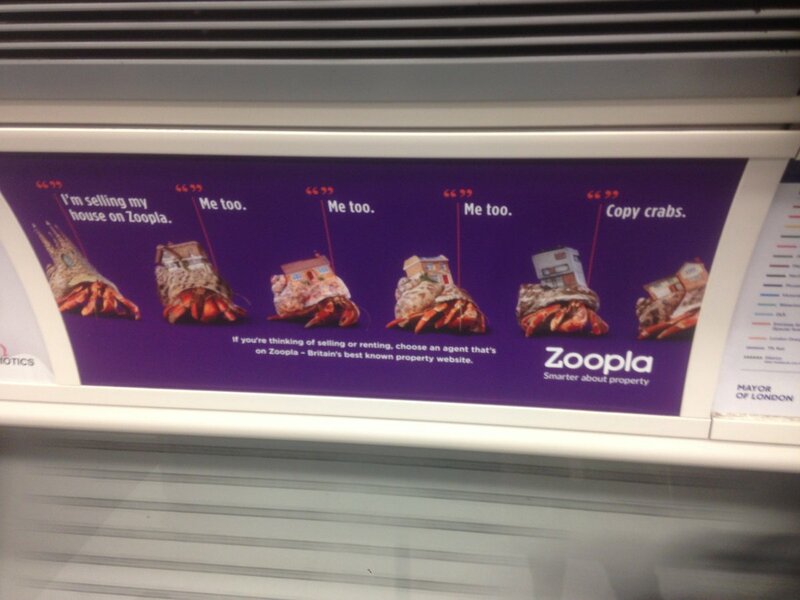 Even when marketers try to get involved in activist messaging, they often get it wrong, as seen with this recent Zoopla ad on the London Underground, which provoked outrage from men and women alike as it was accused of trivialising the #MeToo movement and what it stands for. 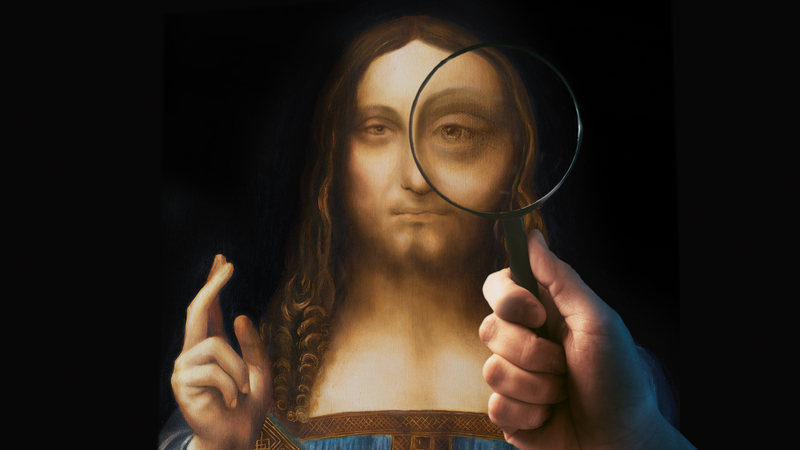 While many industries are guilty of similar (or worse), marketing, advertising & creative agencies have a particular obligation to do better: advertising shapes the way consumers see the world in real, measurable ways. As marketers- especially digital marketers- we argue that our campaigns drive recognition, recall & ROI, but when it comes to representation, we claim that we can’t be responsible for changing people’s minds. In the era of #MeToo, Time’s Up, and, most related to UK agency life, timeTo, it’s not enough to hope our ads are acceptable- it’s time to do more. So how do you build an effective, inclusive marketing campaign in 2018? Look around you. Next time you are brainstorming an ad campaign, a commercial, a new logo or a website, look around the room. Are there any women present? Are there any people of colour present? If not, ask yourself why, because chances are good you’re not designing for the majority of your audience. Think about it. 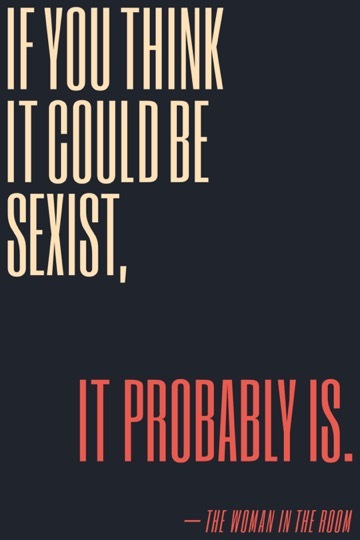 To put it in the words of the viral Woman In The Room posters, ‘If you think it could be sexist, it probably is.’ Don’t take that chance. Having a woman involved in the decision-making process from first pitch through conception to evaluation reduces the risk of sexism in your ads, another reason to make sure women are included in the process. Stop relying on stereotypes. From the well-known ‘2 C’s in a K’ ads that have been around for as long as cleaning products have been advertised to the frequency with which men are represented as incapable of the most basic of household tasks, stereotypical ads do no one any favours. This applies especially to women of colour, who face even more stereotyping in advertising, particularly in the beauty industry, where mainstream brands like Nivea and Dove continue to make mistakes in their representation of minority women. The typical Western family- and indeed, the typical Western woman- has moved beyond traditional gender roles, and it’s worth exploring who your target audience actually is before you make assumptions based on data that is often years old. Offensiveness aside, if your campaign is relying on these formats, you’re not innovating. Your customers are going to be bored, which doesn’t drive sales or brand loyalty. Representation matters. You can’t be what you can’t see. Want young girls to ask for your product for Christmas? 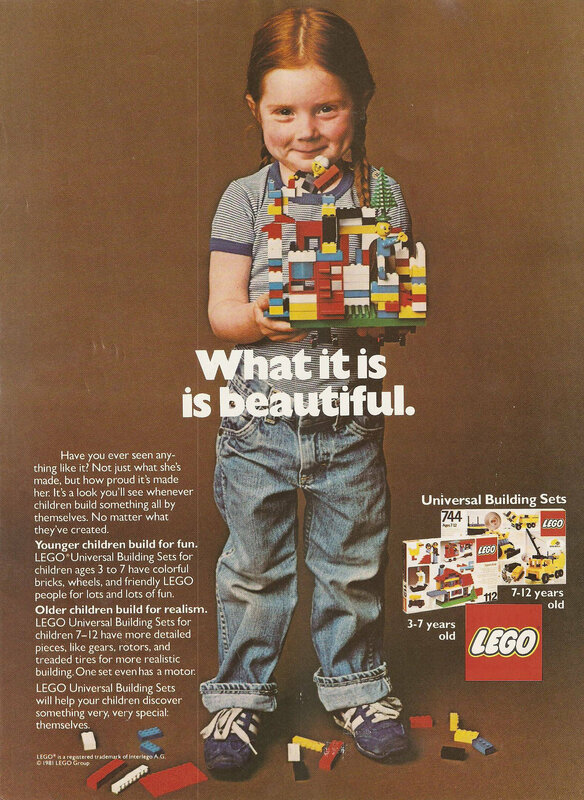 Take a cue from Lego’s 1978 ad campaign and include a girl in your ads. In addition to gender equality, this has bottom-line consequences for brands: if you’re marketing your unisex product (be it toys, tissues or pens) to one gender exclusively, you’re missing half of your audience. Check your crowds. The average crowd or even group scene in films and commercials is 17% female, but the average viewer sees this as a 50/50 gender split. When crowds climb to 33% female, viewers see this as females outnumbering males. As crowds continue to be shown in these ratios in films, commercials, online and in print, these perceptions become stronger. How do we combat this? Cast your crowds as 50% female. Whether this means shooting new images for a website instead of using stock photos, or taking a lesson from film director Geena Davis by giving explicit stage instructions to your casting director, like ‘a crowd gathers, which is half female‘, make sure you are giving women the space they deserve. Listen to your dialogue. Does your script include a female character asking a male character ‘what do we do now?’ It may seem harmless, but this line is nearly always allocated to women (and even more frequently given to women of colour) and it perpetuates the placement of women as damsels in distress or, at the very least, in need of a man’s input before they act. Get rid of these lines- or let the man in your campaign say them to a woman. Expand your definitions. Feminism isn’t just for women. Escape the rut of toxic masculinity by giving the male characters in your campaigns nuanced, non-archetypal roles. Everyone wins when men and women are allowed to be more than just stereotypes. Looking for a place to start? The Book of Man is a great place to find resources on the modern man and why feminism is important to all people. Finally, if you’re going to call yourself a feminist brand and you want your consumers to perceive you that way, make sure you’re ready to deliver on it. 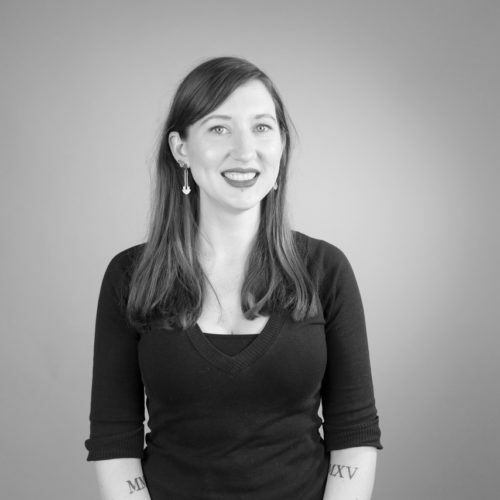 Consumers are savvier than ever and demanding more from their brands– now is the time to make sure you aren’t just paying lip service to equality, but that the feminism in your ads extends to your company’s day-to-day life. Are the women in your company being paid equally to the men? Are the white women being paid equally to the women of colour? Are your female employees empowered to ask for promotions, to speak up in meetings, to state their opinions without apologising for them? Or are they being talked over, mansplained to, asked to make the tea or take the minutes and being called ‘girls’ all the while? Remember that the above is not an exhaustive list- there are many ways to make your brand ‘feminist’, and it’s important to do so in a way that is authentic to your own ethos. By paying attention to the women in your company and in your target audience, you can expand your brand’s appeal while helping to move the marketing industry into the 21st-century- a win-win all around. Ready to get started? Contact us today.